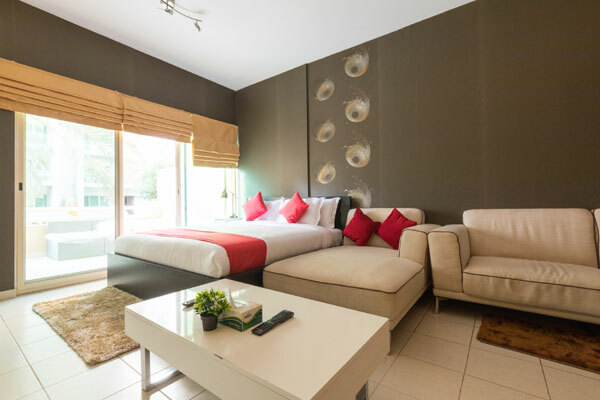 Oyo Hotels & Homes, South Asia’s largest, has seen a double-digit percentage rise in trade visitors within the UAE's Mice (Meetings, incentives, conferences and exhibitions) sector within the first two months of 2019. The company is currently one of China’s top five, and the world’s fastest-growing chain of leased and franchised hotels, homes and living spaces. Oyo established its footprint in the UAE in the first half of 2018 and has already served close to 120,000 guests from 80 plus countries in 20+ hotels located across five Emirates and 40 homes in Dubai. Oyo currently manages over 1,300 exclusive rooms across Dubai, Sharjah, Ras Al-Khaimah, Fujairah and Ajman. “We have observed a significant increase in trade visitors since the start of 2019 due to the busy events and exhibitions sector in UAE. Dubai’s Mice industry is currently growing at a rapid pace and leads in several aspects when compared to other global Mice hubs such as the US, UK, Europe and the Far East. On the other hand, we are confident of also seeing a spike due to the highly active sports industry,” mentioned Manu Midha, regional head, Middle East, OYO Hotels & Homes. Oyo Hotels & Homes aims to grow its market share and touch 150 Hotels by 2020 through its globally followed ‘Manchise’ business model. This model combines the best of management contract and franchise agreement. Oyo Hotels & Homes aims to grow its footprint within the two, three- and four-star hotels by deploying this model in the UAE. “Dubai is set to attract 25 million visitors by 2025, and these visitors will comprise of a mix of trade and leisure visitors. However, irrespective of the nature of the visitors the city will require quality hotels to accommodate them. We at OYO are gearing towards achieving our goals in terms of increasing our portfolio and support the city with this exponentially growing demand,” added Midha. “We have also invested heavily in technology and we are currently addressing the needs of the UAE travellers through our robust technology framework. We aim to align our tech offering with Dubai’s Tourism Strategy 2022-25 which aims to steer the industry by creating a highly digitized travel ecosystem,” stated Vartika Goel, country head, UAE, Oyo Hotels & Homes. Oyo Hotels has pioneered the world’s first full stack technology led hospitality model and has over 515,000 franchised and leased rooms as a part of the chain, delivering strong revenue yields for its asset owners across 10 countries. “On an average we see the trade visitors staying at our property for at least 4-5 days which covers the duration of several major trade shows. Currently, we have a large presence in China, and we get a lot of traction from that market as well. Since the beginning of this year, we have also witnessed a growth in visitors from several regions which include GCC, Europe, Asia, Africa, America and the Far East in addition to other countries,” added Goel. As per the latest research report by Colliers International for the upcoming Arabian Travel Market (ATM) 2019 exhibition, the number of Chinese tourists travelling to the GCC is expected to increase 81 per cent from 1.6 million in 2018 to 2.9 million in 2022. In the UAE, China is the fifth largest source market behind India, Saudi Arabia, the UK and Oman. Oyo Hotels & Homes has recently announced its regional expansion plans by launching its operations in Saudi Arabia. OYO is one of the first Public Investment Fund (PIF) of Saudi Arabia and SoftBank Vision Fund backed company to launch operations in the kingdom, with the support of His Royal Highness Prince Mohammed bin Salman, the PIF and the SAGIA.